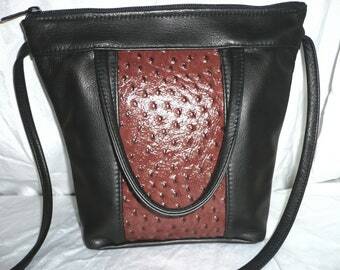 Announcement QUALITY LEATHER HANDBAGS AND PURSES WITH ADJUSTABLE CROSSBODY AND SHOULDER STRAPS. 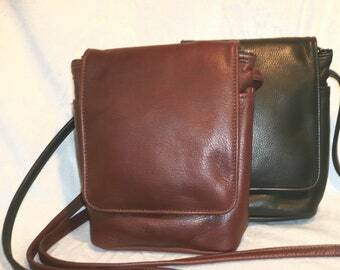 SOFT LEATHER FANNY PACKS AND LEATHER CELL PHONE BAGS AND CASES. HI,Im Grace, my sister and I have been handcrafting leather products in the USA for over 40 years. Please let me know if you have any questions about my bags. I will be happy to help you make the right choice. 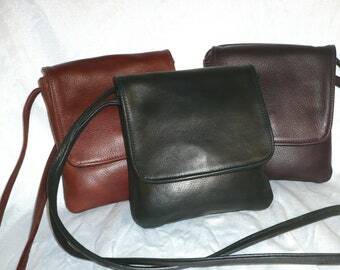 QUALITY LEATHER HANDBAGS AND PURSES WITH ADJUSTABLE CROSSBODY AND SHOULDER STRAPS. I LOVE this bag! I have been looking for a new bag for a long time and hadnt found one that meets my needs. This bag is the perfect size and shape, has yummy buttery leather, and the best thing about it is it is not mass produced by machines as fast as possible. I'm going to order another one in blue. Shipped on time and packaged with care. Thank you! It’s lovely - the leather is so soft and pliable. Really impressed. Bonus: It got here really quickly too! Our booth at a Castleberry Fair show. When my sister and I graduated from high school, college was not an option. We had lost our father at a young age, and couldnt afford to go. We both went to work at a leather factory, and we were good at it. We stayed for 17 years, but in the meanwhile became involved in volunteer animal rescue work, finding homes for the unwanted, and trying to help control their overpopulation ., Not to say that we didnt help a skunk or two, or a bird, or whatever needed help that came our way. Having a job made it difficult to take a sick animal to the vet when they needed to go, So we knew we needed to be self employeed, So in 1992, we were.. We started out as solely a wholesale company with sales reps across the country. In the beginning , Due to lack of finances, I choose to hand cut all the leather, rather than buying machines, and with all the sales from the wholesale accounts,it got physically hard, and honestly, It gets a little boring making a thousand pieces of the same styles over and over and over for years and years,and years.. I have always been drawn to creating different things and realized that selling directly to customers would allow me the freedom of creativity, and to hear first hand what my customers want. Although we continued to supply the wholesale accounts,I started displaying our products at juried craft shows, A whole new world for me, and I liked it., and the customers liked us. And now for the next step on this everchanging road, The internet., and I must say I like this too.Our main concern is always to give our customers a products they can have for many years without having any problems with it. We live in a throw away society now and that is not ok with me or our landfills. One of our bags,over the years, could replace dozens of throw aways., I know we all like to have new things now and then, but still always nice to have a bag you can put away for a while, and pull out anytime, and know that it will function properly and not let you down. Quality workmanship and customer satisfaction will always be what we are known for. I couldnt have it any other way. Thankyou for considering our products. My sister and I take great pride in making all of them. Always our priority, to make you happy with the quality and care we put into every piece. Everything is made by hand one at a time., and I guarantee our products to last for years through normal wear and tear, and then some. We have been handcrafting leather for over 40 years, and we know how to do it right! You must inform me, upon receipt of the product,that you want to return it. Product must not have been used when it is returned. Customer will be responsible for additional freight charges. Some custom work may not be exchanged. I guarantee your bag to last for years through normal wear and tear. 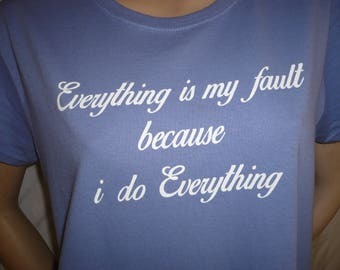 If you should have any problems, I would fix or replace it.,But you won't! We use the united states postal service to ship all orders.